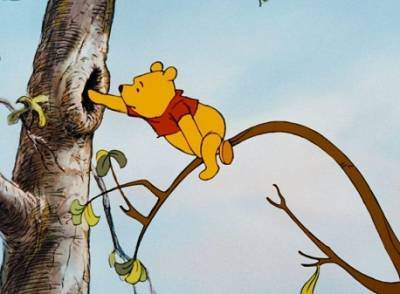 The cuddly and courageous, Winnie the Pooh will make his television debut on Disney Channel with ‘The New adventures of Winnie the Pooh’ beginning September 10 at 12.30 pm (Monday to Friday). The series will bring to life memorable stories of childhood as Christoper Robin’s bedroom doors open to the adventurous world of Hundred Acre Wood, a timeless place of wonder and whimsy where Winnie the Pooh along with Tigger, Piglet, Eeyore, Gopher, Owl, Kanga and Ro will entertain you in a non-stop entertaining series about the love of a child for his best friend, a bear named Pooh. Winnie the Pooh is the likeable and childlike bear who has become synonymous with gentleness, kindness and friendship. His love for honey (or "hunny" as he spells it) is one the most enjoyable and lovable qualities, especially during instances when he runs out of his supply and sets out on a quest to find more Honey...err, “Hunny”. Loyal to his friends and often termed as the "leader of the group", Pooh has a knack for being very optimistic during times of despair and is the closest to Christopher Robin. So get ready as Winnie The Pooh with his Jar of “Hunny”, and all his lovable friends make their debut in India on Disney Channel! Disney celebrates Donald Duck's birthday! Disney Channel launches original animation series 'Fish Hooks' today!